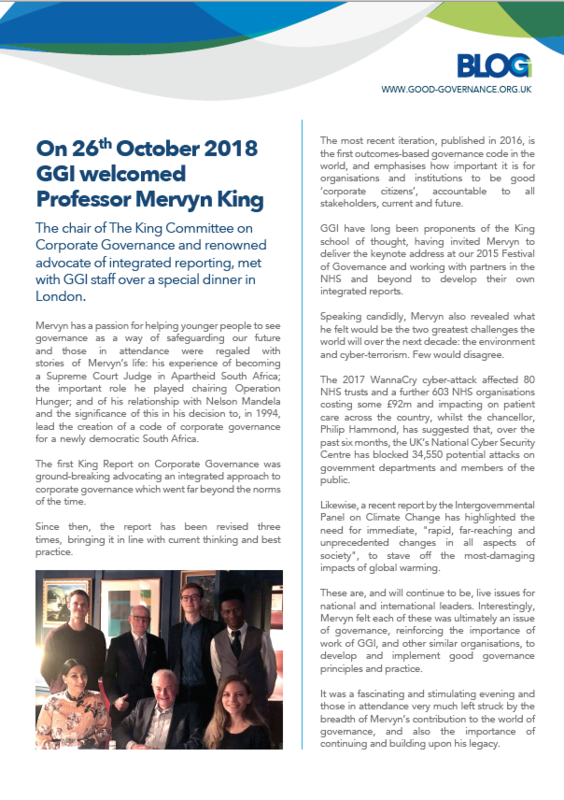 In May 2009 the Good Governance Institute (GGI) reviewed the publication of Judge Mervyn King’s KING III report on corporate governance. 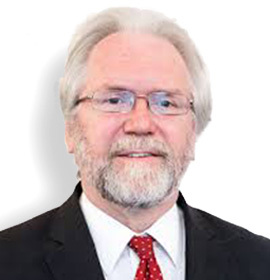 At the time we said that ‘there is much in the Code and Principles of KING III that lends itself to the new NHS Landscape in the UK’. Since then we have had further reform and retrenchment and the ensuing confusion suggests the need to focus on principles rather than rules for direction. The King IV Report on Corporate Governance for South Africa 2016 was published on 1 November 2016. 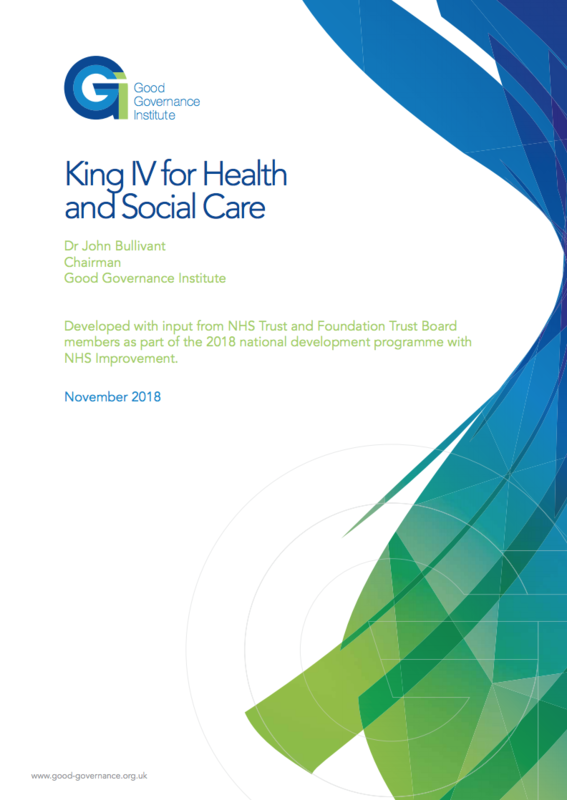 GGI believes that applying the King IV approach will support NHS organisations to improve their governance arrangements and, as a result, deliver effectiveness and be able to evidence compliance with regulatory requirements. Promote corporate governance as integral to running an organisation and delivering governance outcomes such as an ethical culture, good performance, effective control and legitimacy. Reinforce corporate governance as a holistic and interrelated set of arrangements to be understood and implemented in an integrated manner. Encourage transparent and meaningful reporting to stakeholders. Present corporate governance as concerned with not only structure and process, but also with an ethical consciousness and conduct. Broaden the acceptance of the King IV by making it accessible and fit for implementation across a variety of sectors and organisational types. The new model defines a simple focus on practice delivering outcome by defining a set of principles which guide organisations on what they should set out to achieve. Principles are achieved by mindful consideration and application of the recommended practices. Biennial Board reviews support feedback and learning.